This album is not only for your eyes—J Cole’s raw, gripping voice along with his genius rhymes are a blessing to your ears, mind and heart. The intro begins with the sound of a cassette tape being inserted as “For Whom The Bells Tolls” sets a gritty intense mood. The lyrics of this song can touch a deep emotional spot for all of us as its message is one of universal struggle. Throughout this album, Cole brings issues of everyday life forth. For instance, in “Immortal,” he raps about young black men caught in the drug war. 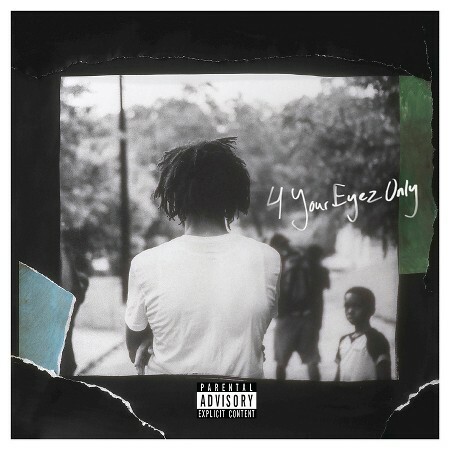 “Numb the pain cause it’s hard for a felon/In my mind I been cryin’, know it’s wrong, but I’m sellin.’” 4 Your Eyez Only has mellow, trap music beats with powerful words. In “She’s Mine, Pt. 2” he raps about his daughter, saying that “he’s never felt so alive” and asking if he is worthy of this beautiful gift. One thing is certain—this album is worthy of your time.